With this “RE@LBlog Repost”, we once again welcome guest blogger, Tami Brass, Director of Instructional Technology for St. Paul Academy and Summit School in St. Paul Minnesota. Tami has been teaching for over 20 years, having worked with diverse students in several school districts. She is also an Authorized Google Education Trainer, and Apple Distinguished Educator, as well as a member of the Computer Science Teacher’s Association. Tami is a frequent presenter at conferences and workshops, including our local TIES Conference (now managed by Sourcewell, Inc). Join us December 8-11 here in Minneapolis! We are pleased to repost her fine commentary on STEM and coding, still “hot topics” today in K12 curriculums. “In 1982, I was a student in Mrs. Mead’s 7th grade math class. As a new teacher and probably the only female secondary math teacher in our rural Wisconsin district at the time, Mrs. Mead was pretty adventurous. Somehow she managed to get a couple of Radio Shack TRS-80 computers in the room adjacent to her classroom, and, like many teachers in the 80s, she used computers as enrichment/incentive for students who finished their work early. Four of my classmates and I practically lived in the space. 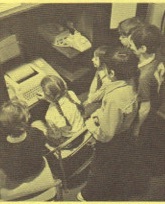 (I was the only girl in the group, but that’s another story…) We learned the BASIC programming language from magazines, typing code and tweaking it to see what would happen. There was no direct tie to our math curriculum – no standards that needed to be met, no test to pass, no assessment other than squeals of delight when things went as well as we’d hoped. I have to be honest – now, a teacher who uses technology myself, I’ve not kept up with coding. In the mid 1990s I taught my alternative students HTML coding to get them reading and writing. Years later I worked with kids interested in webpage design. While there was no curricular tie, it was always a carrot, a hook, a way to engage many learners to pursue something more deeply. In my teaching, it wasn’t for every child, just an option for those who were interested or curious. By 2013, when the first “Hour of Code” initiative happened, I was working to explore bringing a computer science curriculum to my school. 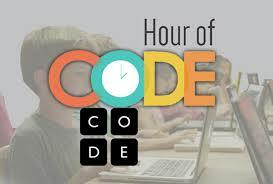 Like countless other schools around the world, we hosted Hour of Code. I was amazed to have over 50 students (total enrollment in our middle school was under 250 at the time) arrive at school an hour early to participate. Promotes kids to “FGRTOT” or (figure it out) without adult intervention – it’s a start to self-efficacy and independence. 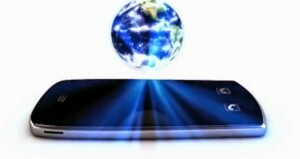 Encourages what’s called “Moonshot Thinking” (watch this powerful video!) – it’s full of forward thinking without boundaries or our filters getting in the way…click on the graphic for more information. Preparation for future career paths, including some which may not yet exist….girls, too! 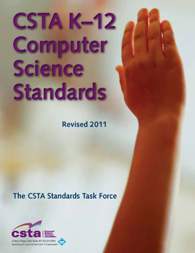 I f you’re wondering how computer science fits into your classrooms, CSTA (Computer Science Teachers Association) has created Crosswalks (Click on graphics on the right and left to learn more). Those links map their computer science standards to a variety of K12 standards many of us are already using in our practice: including Common Core, Mathematics, and STEM. Some obvious multi-discipline fits are computational thinking in mathematics, digital storytelling in English/Language Arts, and design of simulations across the sciences. We’ve now added a computer science strand to our school’s K-5 science curriculum and are working to integrate it into our 6-9 science program. The wide base of participation and engagement resulting from our Hour of Code activities demonstrated both the interest level and ability of our students to explore computer science. I’m excited to see this initiative come to fruition and see how it evolves. I often wonder if Mrs. Mead knows what she started all those years ago! A few seeds planted have born fruit for many decades later. Try it out yourself. You never know….both you and your students may be grateful you did. Editors Note: You can follow Tami Brass at her website; just click here: Tech4Teaching. Many more useful resources to bookmark. If you have any questions or comments for Tami or for us, click on the globe below. ← RE@L REPOST: A Powerful And Helpful Statement In “Education Week” By Anne Jolly Who Knows PBL And STEM Through And Through!